The Town of Huntingdon offers local and regional activities that will enhance all your senses, from the music, art and theatrical events at The Dixie Carter Performing Arts and Academic Enrichment Center to the seasonal merriment of the Huntingdon Heritage Festival and the new Carroll County 1000 Acre Recreational Lake to the Picker’s Path Antiques stops and more. Click the links below for a few attractions that are featured on their own separate pages, then scroll on down for more! 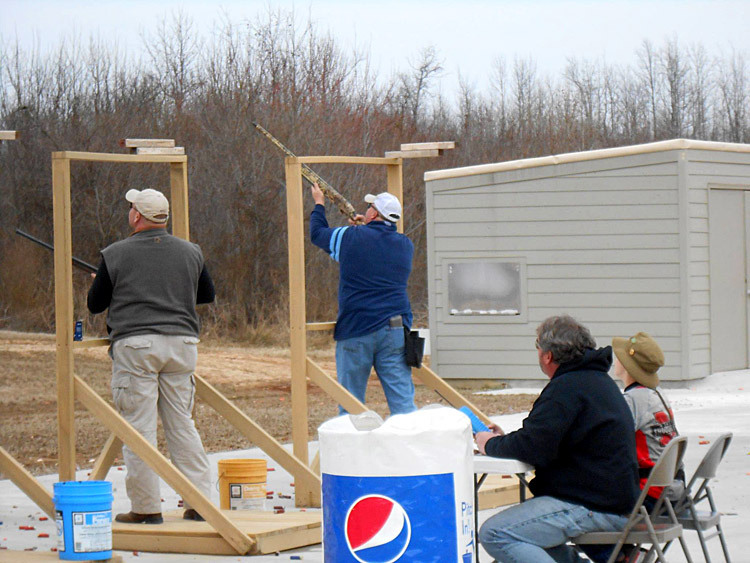 Carroll County Shooting Sports Park is a non-profit organization which provides opportunity and safety training in many outdoor sports. Carroll County’s new Shooting Sports Park offers the sport shooter a great place to practice their sport. The facility is located at the Industrial Park North on Industrial Drive just off Hwy. 22 N in Huntingdon. The Cabins on Main Street in Huntingdon, Tennessee. The log cabin (western-most) was originally located in Benton County and was disassembled, moved, and reassembled at the current location on East Main Street in Huntingdon by Town of Huntingdon employees under the direction of Walt Montgomery. The late Walt Montgomery, long-time resident of Huntingdon, acquired and donated the cabin to the Town. The cabin, built of Chestnut logs, dates back to the early 1800’s, and was relocated to Huntingdon in 2005 to serve as a tribute to our heritage. The second cabin (eastern-most) was part of an original land grant in 1805 to a Revolutionary War soldier of the Vancleave family. The U.S. government paid Mr. Vancleave for his services during the war by giving him 1000 acres of land. The cabin, built in 1807 of poplar and red oak, was a large, one-room cabin with three windows and a door, yielding access to the breezes on all four sides. It was placed on large sandstone pillars about three feet off the ground. When the Vancleaves built and moved into a larger dog-trot cabin 150 feet to the northeast of the original site in the Rosser Road community, the cabin became a corn crib. Large, virgin red oak boards were later added as a rough-cut board-barn built all around and over the cabin. These boards and a tin roof protected the original cabin from the elements for many decades. Ownership of the cabin over the years passed from the Vancleave Family to the Newsome Family to Mike & Debbie Ledsinger to Stephen & Jeal Atwood to Walt Montgomery, and finally to the Carter Family. Margo Carter used the cabin in Huntingdon for many years as her art studio. Margo was married to the late Halbert Carter, Jr., brother of Dixie Carter. Dixie donated the cabin to the Town in 2007. Again, Town of Huntingdon employees disassembled the cabin, which was located behind the former Carter residence on Paris Street, and reassembled it at the current location on East Main Street. Of additional interest are the cabins located on the Montgomery homesite just behind these two cabins. Two notable Unionist cousins, Isaac and Alvin Hawkins, lived in Huntingdon at the outbreak of the war. Isaac served with the 7th Tennessee Cavalry (US) and Alvin assisted Military Gov. Andrew Johnson rebuilding “loyal” local governments. Both Republican politicians after the war, Alvin was elected governor and Isaac was elected to the U.S. House of Representatives. 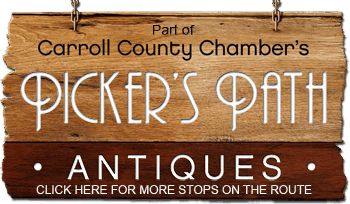 Over 6000 square feet of vendor and consignment space, where you will find a variety of merchandise at a good value. 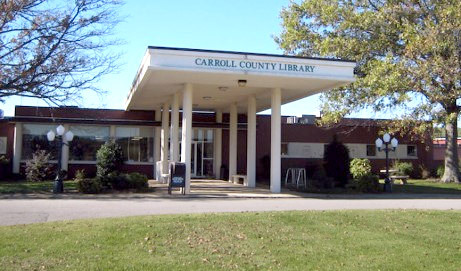 Carroll County Airport is a county owned public-use airport in Carroll County, Tennessee located between Huntingdon and McKenzie. Since opening to the public on April 1, 1987, the airport has received numerous upgrades. Additions to the facility have included the construction of two private aviation hangars built in 1988 and 1989. A non-directional beacon radio station, used for aircraft navigation, was installed in 1989. In 1992, the automatic weather observation system (AWOS) was installed, allowing pilots the opportunity to receive up-to-date forecast information. 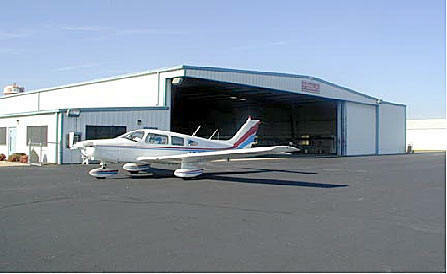 A four unit aviation hangar was added in 1993. The airstrip was widened and lengthened to 5,500 feet in 1995, allowing more landing area for arriving planes. Another change to the facility was enacted due to the terrorist attacks perpetrated against the United States on September 11, 2001. With a grant from Homeland Security, a total of eight security cameras, electronic gates, and a continuous video surveillance system were installed in 2003.